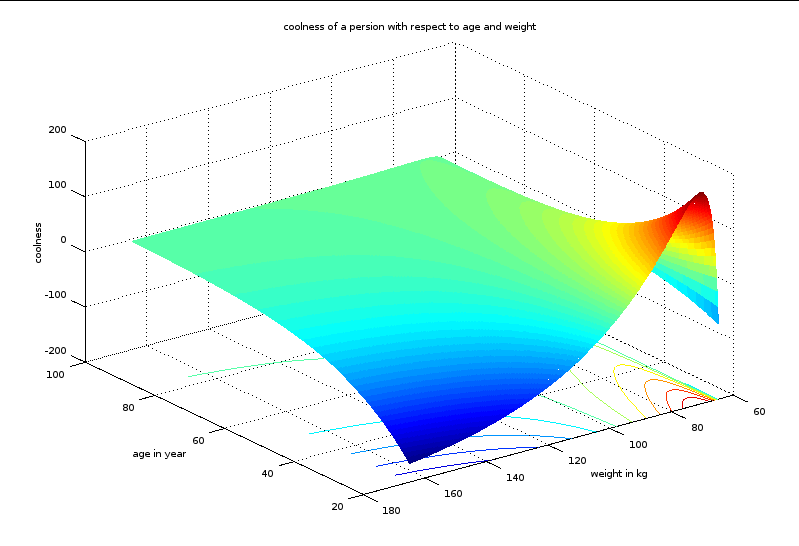 While playing arround with Octave, i did a coolness function of a person with respect to age and weight. Here is some of the graphics. As you can see in fig_1, the person with 20 years and weight of 70 kgs is very very cool. The person with age 20 and weight 160 is very uncool. People all over 50 years are normally cool. 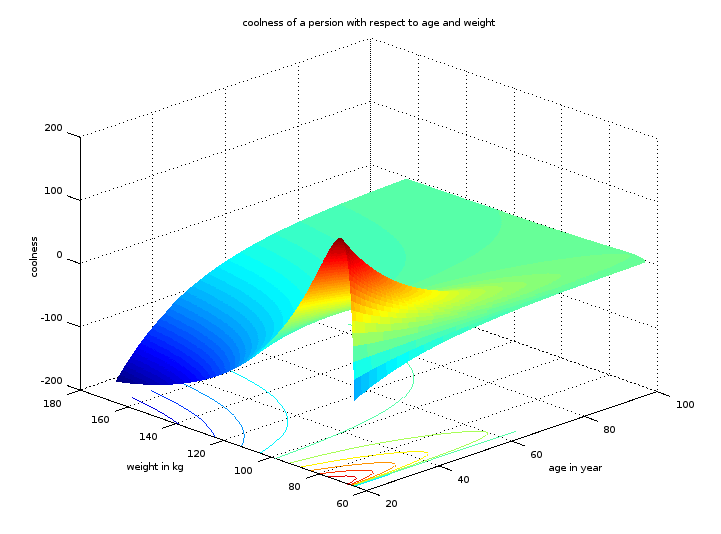 I hope you enjoyed my coolness function and here you can find my code for matlab/octave.